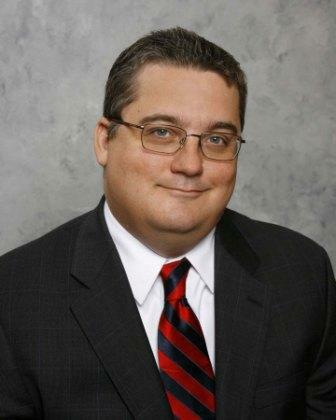 Jul 15, 2011 – Edward M. Mullins, a founding shareholder of the Miami-based international law firm of Astigarraga Davis, has been reappointed as co-chair of the approximately 1,000 member International Litigation Committee of the American Bar Association's Section of Litigation for a third term. The International Litigation Committee is actively engaged in monitoring key international issues, presenting programs and educational briefings, and assisting in the formulation of policies and rules concerning international litigation and international arbitration. Mr. Mullins focuses his practice on commercial litigation, including international litigation and arbitration, intellectual property litigation, and consumer class actions. Mr. Mullins is the former co-chair of the ABA's Alternative Dispute Resolution Committee of the Litigation Section and former Co-Editor of the International Litigation Quarterly. He is the immediate past chair of The Florida Bar International Law Section and the former Co-Editor of The Florida Bar International Law Quarterly. Additionally, Mr. Mullins is the former Chair of the Appellate Court Rules Committee of The Florida Bar and is a past Chair of the International and Appellate Courts Committees of the Dade County Bar. Selected by The Best Lawyers in America for Commercial Litigation and International Arbitration, he frequently speaks and writes on international litigation and arbitration issues for the ABA and The Florida Bar. He has chaired and served on the steering committee for the Florida Bar International and Arbitration and Litigation Conference for years. Mr. Mullins earned his J.D. and Bachelor's degrees at the University of Florida, where he served as the editor-in-chief of the Florida Law Review. Astigarraga Davis is a boutique law firm with a practice focused on commercial litigation, arbitration and other business disputes. Our clients include primarily multinational companies, financial institutions and substantial public and non-public companies. We have an extensive international practice, our lawyers having handled business disputes emanating from virtually every country in Latin America, Mexico, the United States and Canada. Our commercial litigation strengths include international litigation, international arbitration, financial services litigation including creditors' rights, bankruptcy, and class actions as well as the recovery of assets for defrauded institutions.